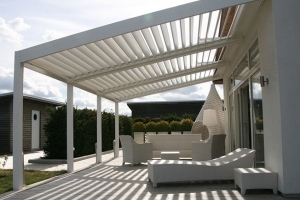 Innovative space saver, gives the flexibility of creating a comfortable and cosy outdoor living space with unique add-ons. 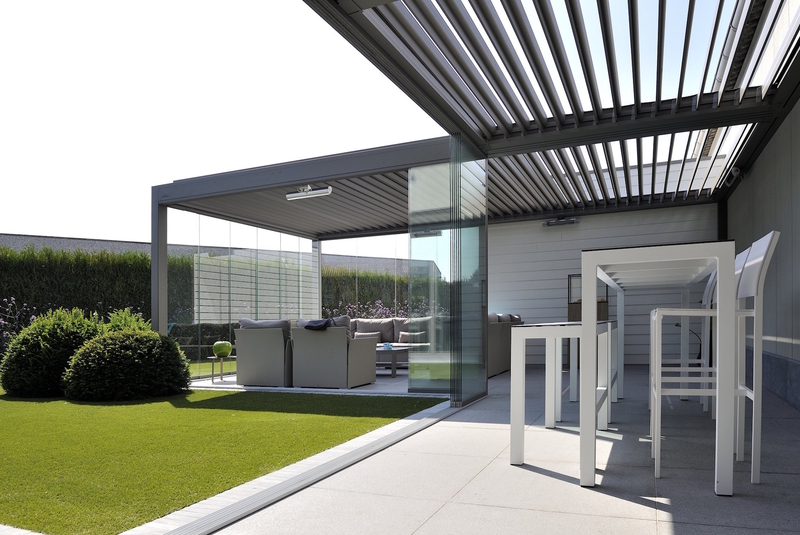 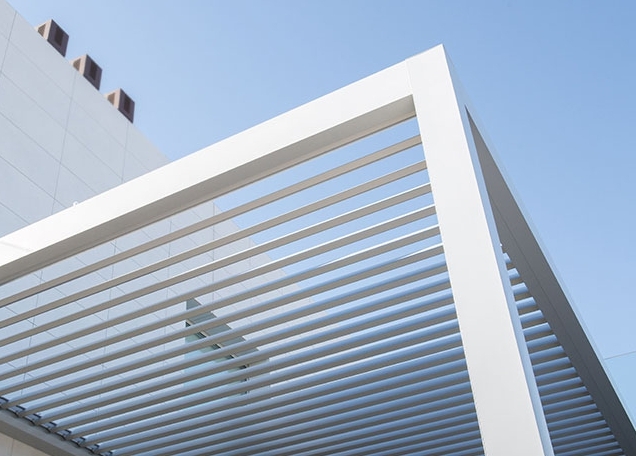 The fully automated Bioclimatic aerofoil louvres can adjust the shading on your terrace by rotating and retracting operation. When fully closed the top area becomes totally water-resistant. A restrained gutter catches the rainwater and makes it drain directly in the vertical posts. Sidewall screens (optionally integrated), can keep out the cold and wind, making the space home-like. 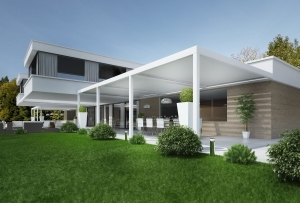 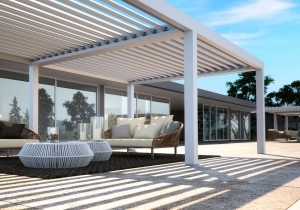 The bioclimatic pergola can be used as a lean-to-wall module. 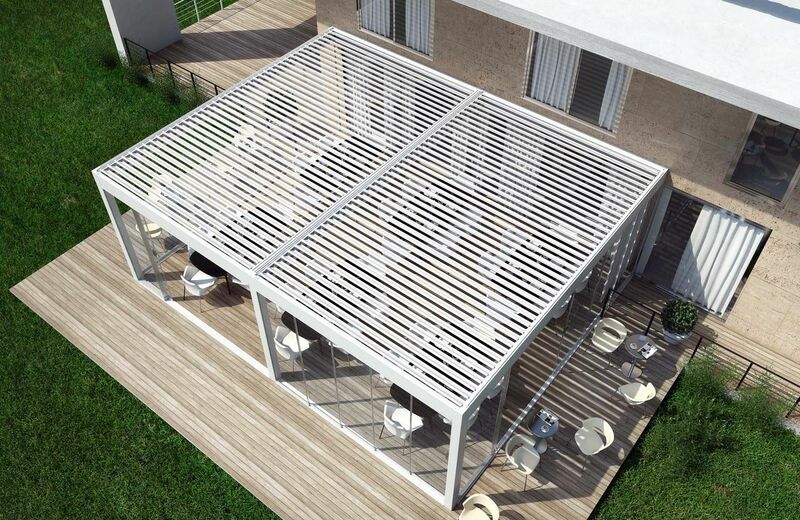 Ideal for: Hotels, bars and premium leisure industry along with detached, semi-detached private houses. 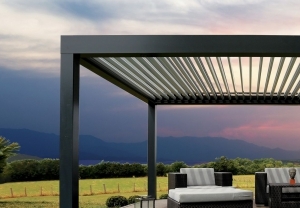 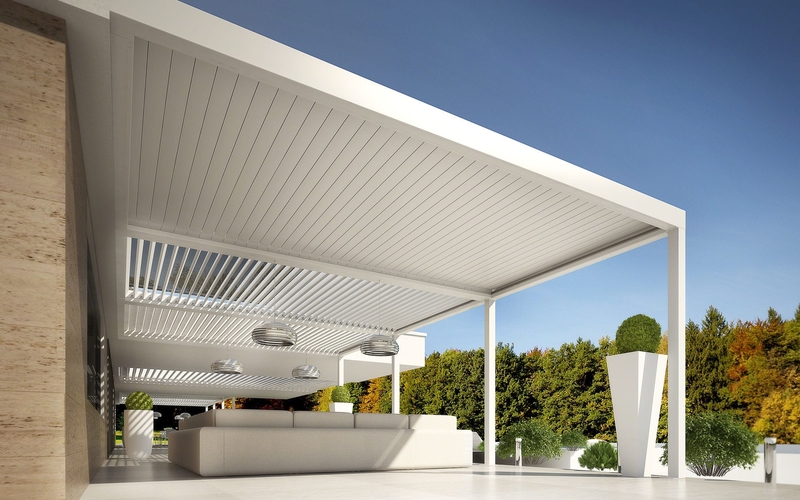 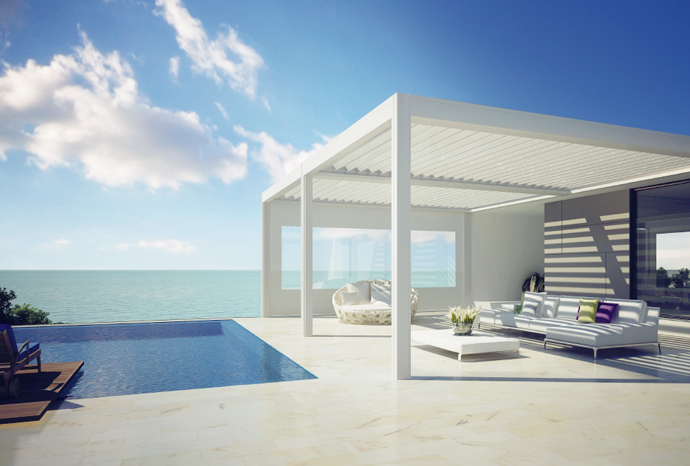 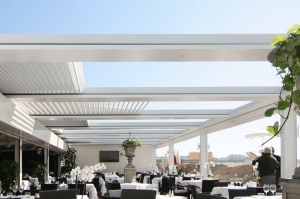 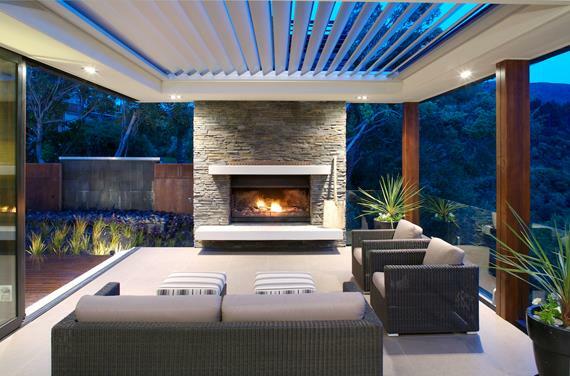 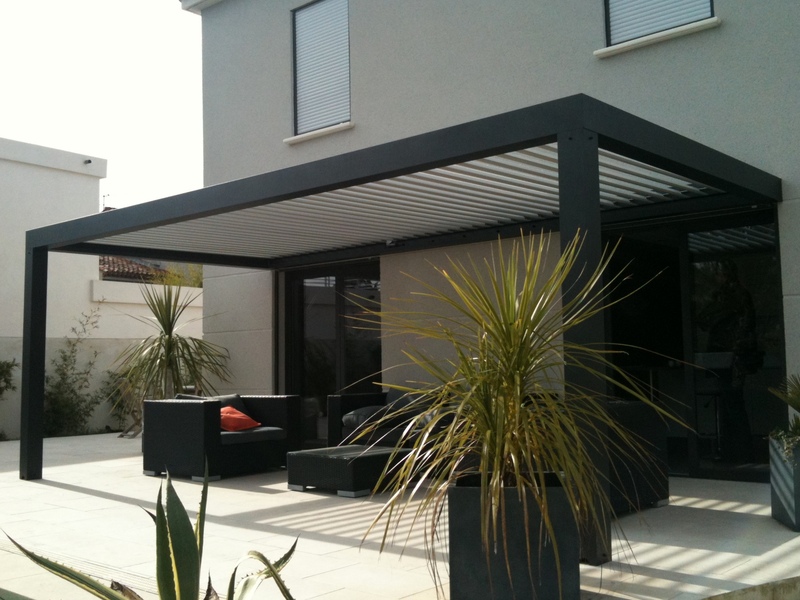 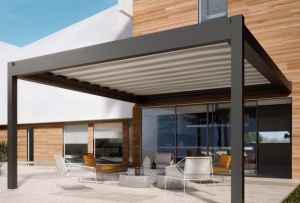 Malibu Louvre Roof Pergola lets you control the weather. Our Louvre Roof Pergola uses high grade aluminium that is rustproof and durable and also is watertight when closed just like a solid pergola would offer. 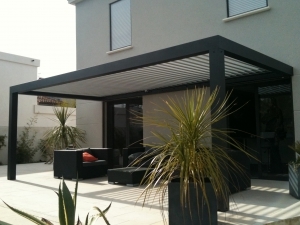 Our Louvre Roof Pergola enables you to create additional living spaces to make the most of your outdoor area, offering you weatherproof protection when it rains and also helping you to maximize daylight when you need it. The rotating louvres can be adjusted with the hand held remote so you can easily control the level of sunlight, shade and weather protection. 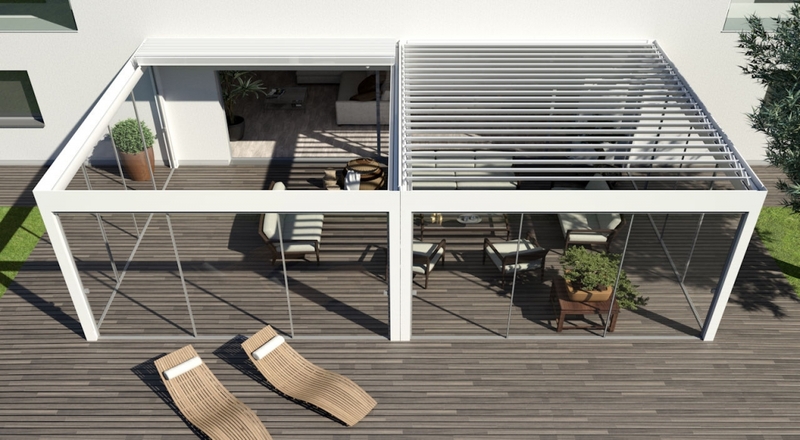 When the louvres are completely closed they form a watertight locking system. 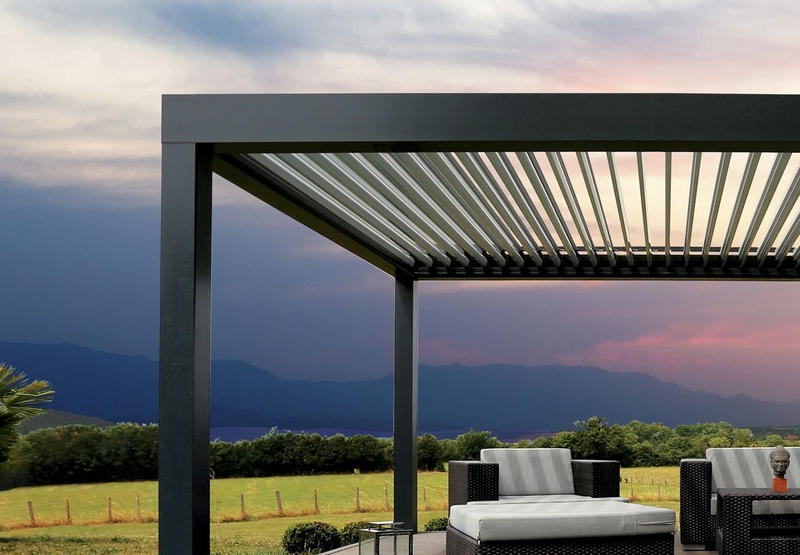 Make your outdoor entertaining comfortable all year round with a Malibu Louvre Pergola that can adapt to whatever nature has to throw at it.